Ferrari is apparently still arguing with itself over bringing back the Dino as a new entry level sports car, but there’s hesitation over brand image. They don’t want to start to look cheap, you know, like Porsche. Ferrari CEO Sergio Marchionne said there are split views within the automaker’s management on whether to revive the Dino nameplate for an entry-level sports car. Not everyone is convinced it would be a good move, he said. The idea of reviving the Dino is being “kicked around,” Marchionne said on a call with analysts to discuss the automaker’s second-quarter financial results. Marchionne said it would be dangerous to lower the entry level price for a Ferrari. See, our favorite insane uncle that also happens to be CEO of Fiat Chrysler, Sergio Marchionne, once “confirmed” the return of the Dino, but obviously that didn’t mean much of anything. Then there were rumors a year ago that Ferrari would offer a mid-engine entry-level car, possibly with a V6, but the Dino name wasn’t brought up. I really don’t know how to feel about this if Ferrari goes through with it. Ferrari’s modern design is cool and technical and very exotic, but not in a pretty way. 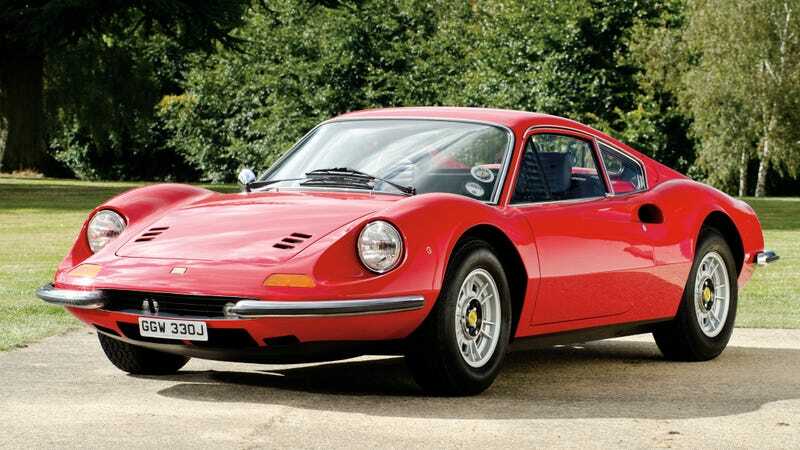 I look at the Dino and I still find it to be pretty, and I’m not sure a modern Ferrari could adopt the name so easily. And even then, Ferrari seems very concerned with keeping up its brand image, except for that “utility” vehicle they’re building that we’re all supposed to pretend ins’t a SUV or crossover. They could always just go broke if they want exclusivity. That’s worked wonders for Lotus.